The quilt I’m sharing is an oldie but I still look at it fondly despite its flaws. 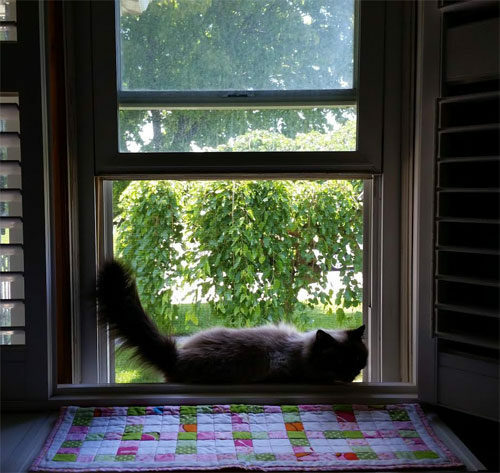 I have this folded on top of my fabric shelves beneath my craft room window for my cats to snuggle with while they watch the neighbour cat across the street. 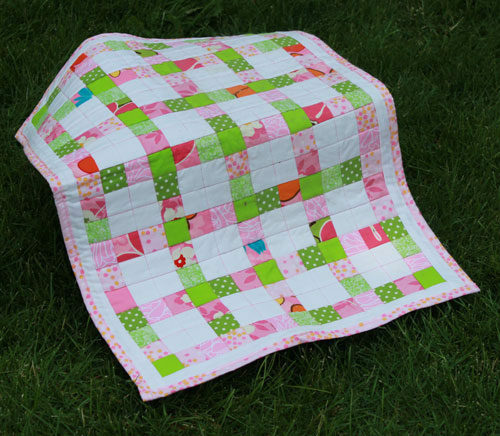 This mini quilt uses bright pink and green fabric prints combined with sharp white squares. I call this a “cheater quilt” because instead of piecing my rows and carefully lining up my corners, I used the fusible web to layout the design. This is a great way for beginners to start to quilt. 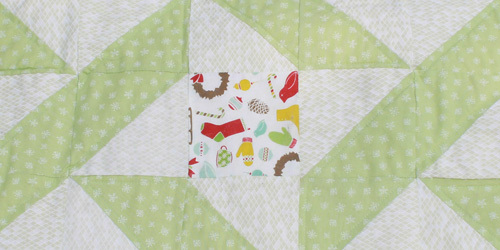 How can you make a quilt without sewing together squares? 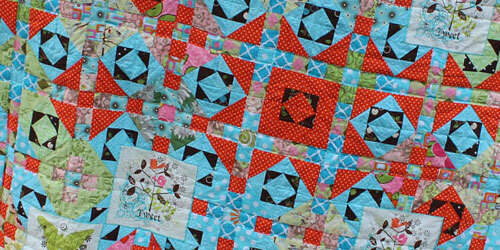 I used a product similar to this one on Amazon, Pellon Quilter’s Grid. It’s a fusible product with grid lines on it, similar to fusible interfacing. 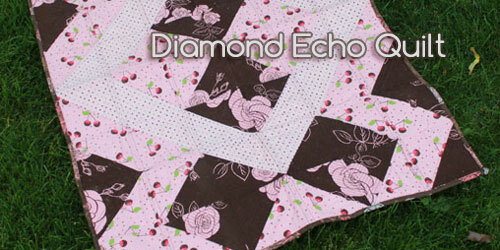 It’s very light weight, so it doesn’t add much stiffness to your quilt. The grid lines are an inch apart; simply cut out 2 inch squares from the fabrics of your choice then lay them out on top of the grid. For the white squares of my design, I cut them out at 4 inches square each to save cutting time. 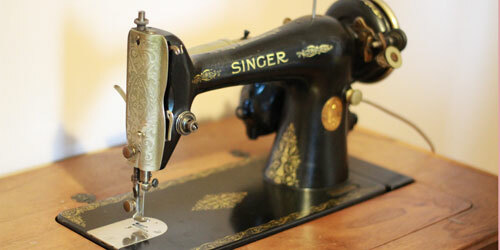 Once you have the design arranged how you like it, you take your iron and carefully iron the squares into place. Now it’s like you have a single piece of fabric, which is easy to work with. No pinning! To sew, you fold the quilt top length-wise along each row’s edges, right sides facing in, and one by one, sew a 1/4″ seam. Once all your lengthwise rows are complete, rotate your project and do all the width-wise rows. When you’re done, you will have a really cute quilt top with perfectly matched corners, ready to sandwich with batting and backing. The finished size of each square will be 1 1/2″ square. 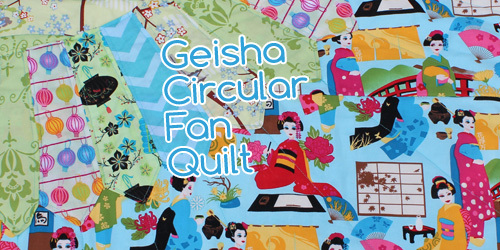 This product is great for quickly making a small quilt. I have used it on larger projects but found that the fusing glue can wear off over time. I was working in the heat of summer, so that might have been a contributing factor. I wouldn’t fuse together a project and then pack the project away for a few months. When I did this, I was personally left with a mess of squares falling off and still haven’t found the motivation to reassemble. 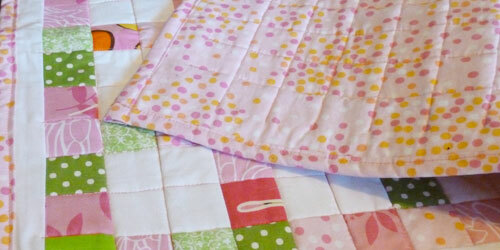 Have you used fusible grid to make a quilt? I would love to see links to yours in the comments!